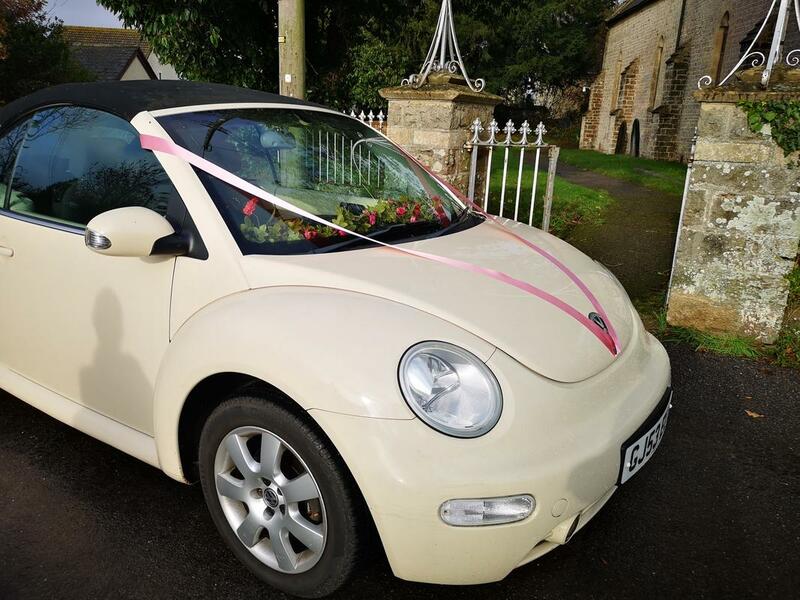 Delilah is our cabriolet wedding car, a convertible modern VW Beetle in a gorgeous cream. She's the perfect bridal car for those who appreciate mod cons like air conditioning but still a wedding car with personality! 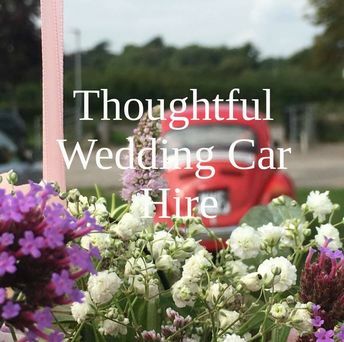 Delilah is a perfect for Summer weddings with the top down or all year around with her powerful heater! Delilah seats up to 3 passengers one in the front and 2 in the rear. Room for cars seats in rear. 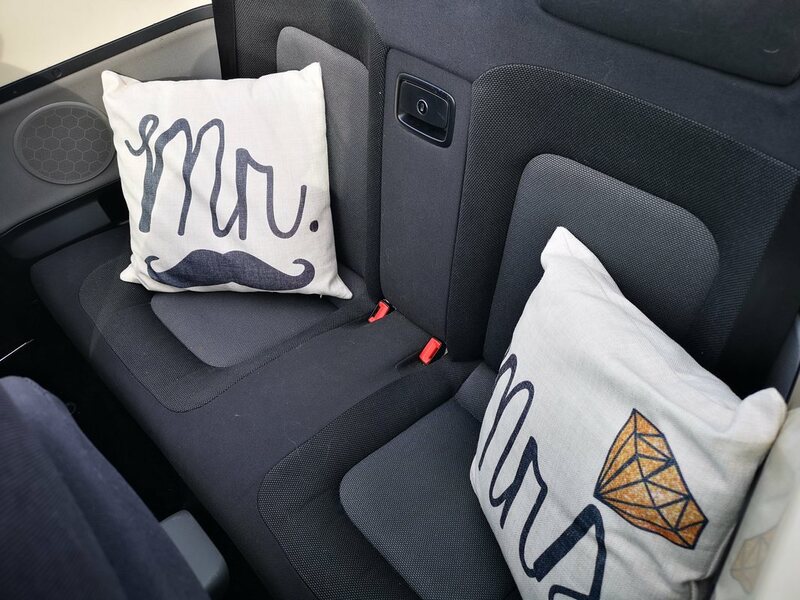 Delilah's interior is cloth, which means its comfortable on even the hottest of days! 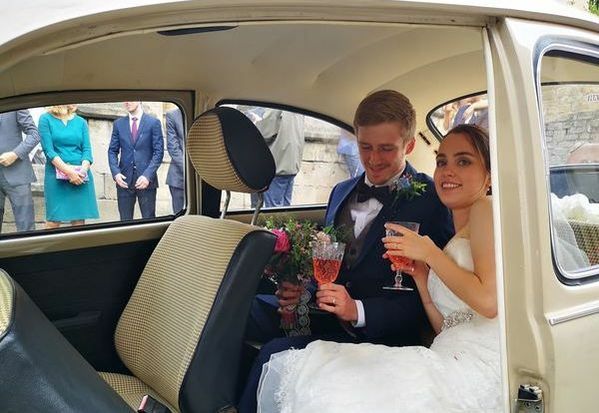 Delilah looks amazing paired with Hettie our classic cream Beetle, but is still great paired with our other cars for bride or bridesmaids ! A touch of a button will lower the roof on Georgie. Cool yourself with our complimentary fans or shade yourself under our lace parasol. Snuggle up in one of our faux fur wraps or use one of our cute hand warmers to keep you warm while you wait for the photographer! Decorations can get festive with holly, mistletoe and festive garlands added to our range. Swap out your fizz for a luxury hot chocolate or mulled wine!